Water damage can be a difficult problem to deal with, particularly once water soaks into your drywall and floors and begins to erode the structures, so before irreversible losses occur contact our water damage Atlanta team at 911 Restoration Atlanta immediately. This means always responding fast, within 45 minutes every time, to all emergencies, as well as answering all questions and helping clients with insurance claims. Our water damage Johns Creek experts are on-call and available 24/7/365 to handle all of these sometimes difficult water extraction issues and are insured, licensed and bonded to professionally finish any job fast. We strive to be the positive in every negative situation because we know how stressful an emergency like a flooded basement can be, so before your crawlspace or basement completely floods and destroys the value of your Johns Creek area home, pick up the phone and call our water damage Johns Creek team today! 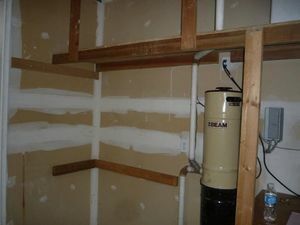 Our water damage Johns Creek specialists recommend routine maintenance of the pipes and plumbing of your home to prevent water damage via a flood in the basement, but in the case of a true flooded crawlspace emergency the first thing to do is to locate where your main water line is and to turn it off. We’ll dispatch a qualified water damage Johns Creek technician within 45 minutes of your call, but before calling us this first crucial step is necessary to minimize damage and exposure to moisture. Gutters and downspouts keep water away from the side of the home, while sump pumps can funnel water out of the home if there is a flood on the first floor or in the basement. Keeping water damage to a minimum is essential because once structures begin to erode and mold begins to grow, expenses can rise in the form of repair costs and insurance claim denials. We can help you with all of these things, from maintenance to insurance, so to find out if your excess water issue is covered by your insurance give our water damage Johns Creek team a call today! A typical homeowner’s insurance policy will cover most water emergencies according to our water damage Johns Creek team, but not if the damage is due to negligence or inadequate maintenance. Taking proper care of your home is always a great first step to ensuring that water damage claims got covered by insurance. With this said, our water damage technicians at 911 Restoration provide our customers in Johns Creek with a free inspection to check for mold, hidden water damage and plumbing problems. 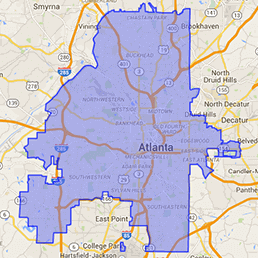 From serving the area for more than 35 years we know that Johns Creek, Georgia is an affluent suburb of Atlanta containing many beautiful and luxurious homes that sit close to the Chattahoochee River, and that anytime you live near a large body of water the danger of flooding always looms large. Our water damage Johns Creek technicians truly care about the community of Johns Creek and we vow to keep water levels from rising into your home by always responding within 45 minutes. When working a job, we only use the latest and greatest water extraction technology to make sure that water damage is eliminated fast and permanently. We truly care about every one of our customers, as well as the wonderful community of Johns Creek. 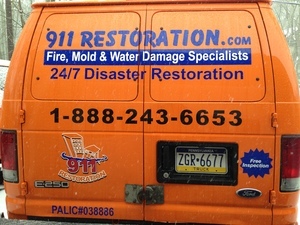 So the next time you’re having any sort of water-related problem, give 911 Restoration a call so our water damage Johns Creek team with 911 Restoration Atlanta can make a difference in your life today!